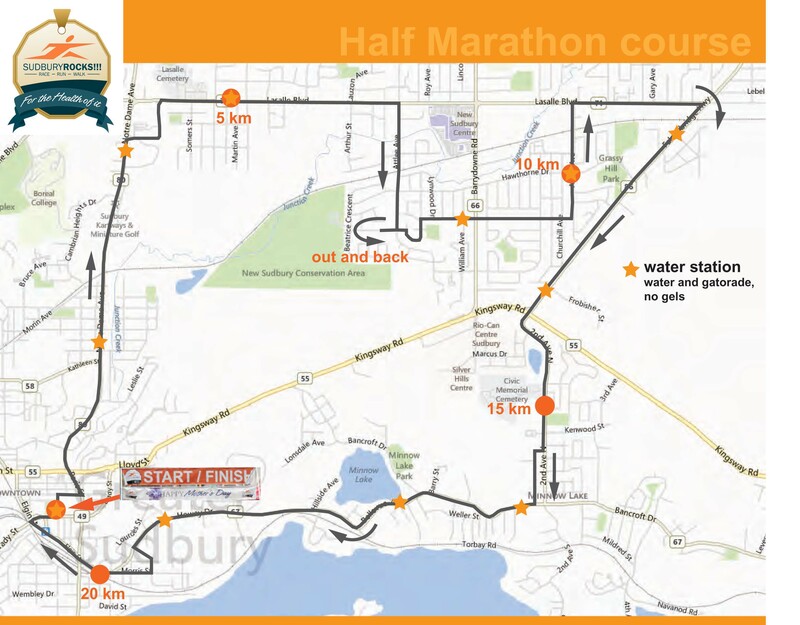 Water/Sport Drink locations and porta potties are located approximately every 2 kms. Official time limit for the 1/2 marathon is 5 hours. This generous time limit allows event access to most levels of walkers. Slower participants may be asked to walk along sidewalks and obey traffic rules.